This College is accredited by NAAC A (National Assessment and Accreditation Council) validity is 11 Sep 2022 and the score is 3.11 .
my college is the best because it gave me life ,life to all my skills which i never had an opportunity to show them in my former college or school i studied in.not only this ,but academics too stand out for the best as we are guided with amazing faculty who have done their masters in top colleges.talking about placements,we have an amazing set of companies coming to our college like oracle and most of them finally pass out with flying colors! !talking about the infrastructure the facilities are excellent in every aspect. There are adequate labs, teacher-friendly classrooms, special medical care etc. Wi-Fi is a bit dissatisfactory. We have a gym for those who are interested in physical fitness. Indoor games are also available and there are grounds for outdoor games.so.if you ever find a chance to make at cbit then your one of those luckiest people! I would rate the basic amenities like WiFi, food, labs, medical facilities a satisfactory 3 on a scale of 5. The CSE and IT labs are much better compared to other labs but the Wi-Fi connectivity is poor. The classrooms need a huge revamp as the wooden benches are worn out and most of the projectors don't work. The library is a state-of-the-art model with a huge collection of books, GRE materials, magazines and a decent time period to borrow and return them apart from a good and peaceful area to explore the collection or surf the Internet with many computers in the research section.Carpediem 2017 witnessed Armaan Malik sway the crowd with his romantic songs, Nucleya's beats reverberate through the crowd's hearts and a hands-on experience of virtual reality from the sets of Baahubali.i really recoment my college because of its greenery. Placements : CBIT is better known for its placements in all its engineering branches. The average package is 6 lakhs per annum. The highest package is approximately 21 lakhs per annum and the lowest is 3 lakh per annum. Various companies approach here to offer jobs to the students in the 3rd year itself. There is a placement cell which gives full info regarding the placements and helps each individual to get the most out of this campus. Infrastructure : Although it was started in the year 1979, it has made changes in its infrastructure at periodic intervals. Right now, its infrastructure is no less than any college in Telangana. The campus is Wi-Fi enabled with good internet speed. The library is quite good. The classrooms are digitally enabled as well. The availability of instruments and equipment is very good irrespective of the cost of the instrument. The students are given demo and allowed to practice. The canteen is big enough to accomodate students during any time of the day. The hostel is just at a walkable distance from the college and it provides bus facility for the hostellers in the lunch. 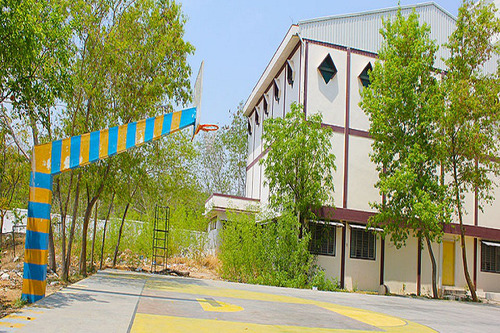 CBIT has a separate sports block along with a huge playground. Faculty : The faculty here at CBIT is one of the most experienced of all colleges. 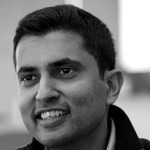 There are experienced faculty members in all the departments of engineering. 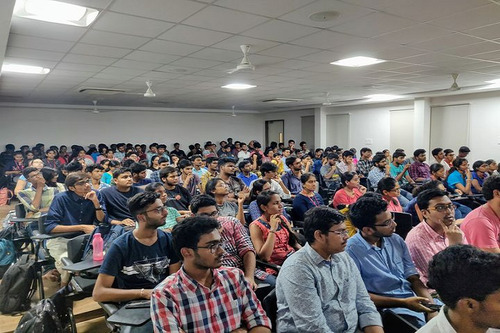 The curriculum of the course is designed in such a way that the student gets exposed both to the theoretical and practical knowledge of a topic simultaneously.Other : The campus is better known for its placements on one hand and for its fests on the other hand, which is not seen in most of the campuses in Telangana. The academic year is divided into two semesters and each semester has a fest, either technical or cultural. 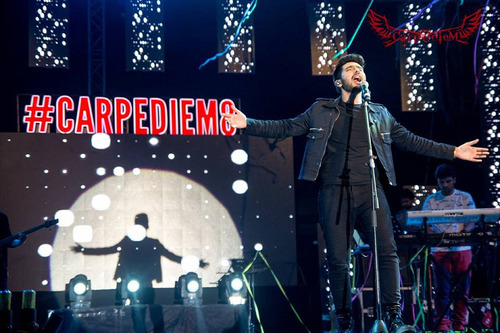 The very famous college event in Telangana, "Carpediem", is organized by CBIT. The atmosphere here allows the students to improve their knowledge in academics and encourages them to put their knowledge into live projects. 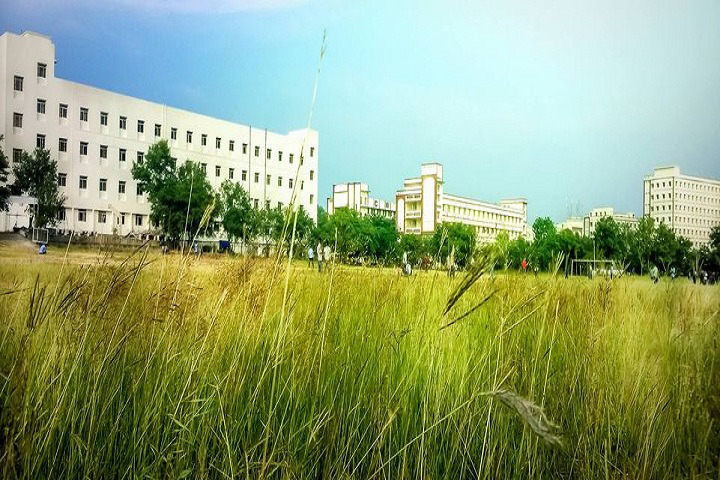 CBIT is a place where we can get enjoyment with study .you will learn subject and will experiences to Industrial exposure.Library is full volumes where you can get different references to a single subject.You will definitely place if you work hard.The hostel facility is excellent.The campus is too big to roam in free time. 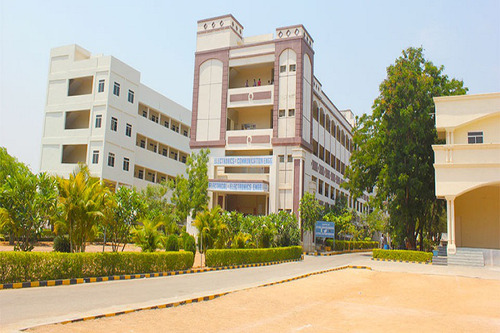 Cbit 1st private college in Hyderabad. But it like old is gold. It has very good placements especially in cse rate is 95%.but is not good looking. But staff is excellent. You can learn a lot of things here.but syllabus go fast you should able to overcome this.you will not have lot of class .you will have free time so you can do what you want. Sir I have got 80 percentile in JEE mains in January month.can I get 'B' category seat in CBIT Hyderabad? In Telangana which eamcet colleges intake with Jee mains rank? Can Nigerians study MBA in your college? If they can, fee per year for them please!! Can I get an admission in CBIT with just my board percentage ? 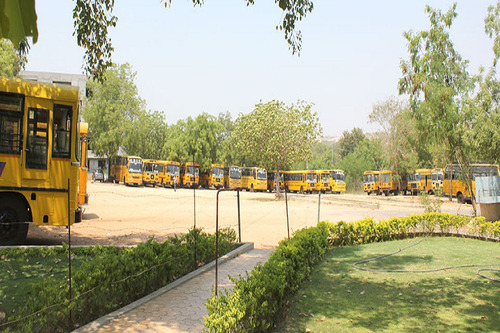 The Chaitanya Bharathi Institute of Technology (CBIT) is located in the Gandipet borough of the city of Hyderabad. The city is the capital of the state of Telangana. The CBIT was established in the year 1979. 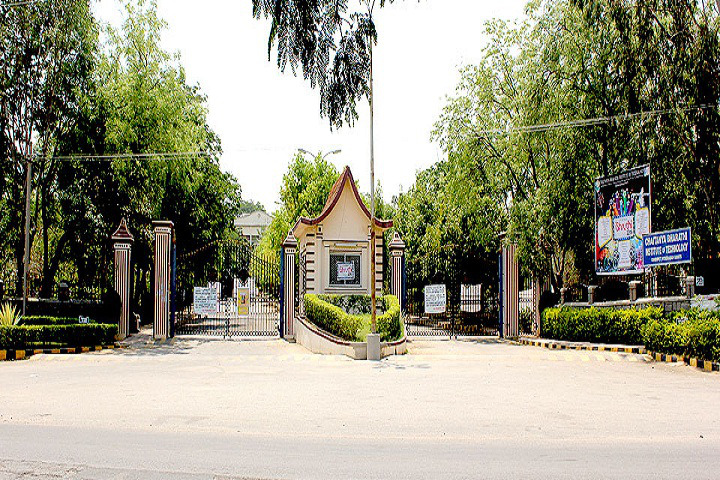 Till 2012, it was affiliated to the Osmania University, also located in Hyderabad. But from 2013 onwards, the CBIT is an autonomous institute, as deemed by the UGC. The institute covers a total of fifty- one acres of land. 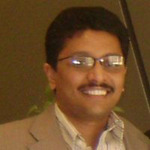 Several of its courses are also approved by the AICTE. In addition, the CBIT has also been accredited by the NAAC (National Assessments and Accreditation Council), earning an A grade rating in it. A separate IQAC (Internal Quality Assurance Cell) has been created to this end, to ensure that all the terms of the NAAC are complied with. An AQAR (Annual Quality Assurance Report) gets generated to quantify the results. Courses are available here at the CBIT at both the UG as well as PG levels. At the undergrad level, the B.E. programme is on offer for the engineering areas of- Production, Chemical, Mechanical, Civil, Computer Science, Information Technology, Electronics & Communication and for Electrical & Electronics. Plus, there is a B. Tech in Bio Technology. At the master’s level, the courses get more technical. So, the M. E. programmes are available for the areas of- Structural Engineering, Communication Engineering, Power Systems & Power Electronics, Thermal Engineering, Embedded Systems & VLSI Design, Computer Science & Engineering and in CAD/CAM (Computer Aided Design/ Manufacturing). There is also an M. Tech available for CNIS (Computer Networks & Internet Security). Students enrolled at the CBIT may also pursue professional degrees for MBA and MCA. 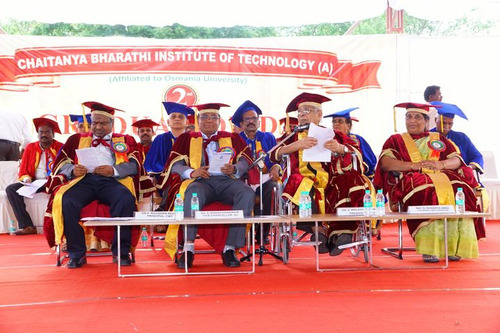 The entire academics here at the Chaitanya Bharathi Institute of Technology in Hyderabad is handled by a cohort of fifteen departments, each possessing expertise in its own area. Eight of these fifteen are for the areas of undergrad study. Another two are for MBA and MCA. There is also one for Physical Education. The rest of the four Physics, Chemistry, English and for Maths & Humanities. The institute is also a key facilitator of a Ministry of HRD initiative with the World Bank. It is a programme titled TEQIP (Technical Education Quality Improvement Programme). The CBIT is also a signatory to several professional bodies, whose memberships it has taken. One is the CBIT Open Source Community (COSC) which is an initiative to get all academic material on the online portal, to facilitate e- learning. The other such memberships are for the IEEE (Institute of Electrical and Electronics Engineers), ISTE (Indian Society for Technical Education), SAE (Society of Automotive Engineers), ASME (American Society of Mechanical Engineers), CSI (Computer Society of India) and the IETE (Institution of Electronics and Telecommunication Engineers). The campus has much to offer. There are hostel facilities for both boys and girls. Banking facilities with ATM are available in the campus’s vicinity. There is a sports field where cricket and football may be played. Facilities are also there for indoor sports. The gymnasium may also be used by all. A large auditorium is there to facilitate major events, at both intra and inter college level. The campus is Wi- Fi enabled. Science laboratories have the latest of equipment. A health centre is also there to cater to medical emergencies. Hygienic food is prepared at the college cafeteria. The college even has its own transport to ferry students to and from the campus. A convenience store is also located within campus. The library here is one of the best stocked within the region. Besides the physical books on display, it also provides digital access to en number of international academic journals for research and academic purposes. The official student event here is known as the Carpe Diem. The college has also always believed in providing benefits to the broader society. The students here have likewise been instilled with such value. And that is why the students here have been active participants in government schemes such as the NSS (National Service Scheme). All this has led to respectable rankings across platforms received by the CBIT. It was placed rank 71 among all engineering colleges in the NIRF (National Institutional Rankings Framework). The placements have likewise been healthy over the years. 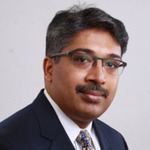 Some of the key recruiters in recent seasons have been the likes of- Oracle, Cognizant, Deloitte, Infosys, JP Morgan Chase, Ford, Wells Fargo, Accenture, Microsoft, Wipro, Capgemini, ITC, Godrej, Factset, Pega, Hexagon, FMC Technologies, MRF, Accolite, Dr. Reddy’s, Samsung, Orient Cement, CA Technologies, HIL, GE Appliances, Atos, Google, ICICI Securities, Uber, Bharat Electronics, Oyo, Mahindra, Aarvee Associates, CPF, IB Hubs, TCS, Bajaj Allianz, Hyundai, Byju’s, DBS Asia, Just Dial, Karvy, Virtusa Polaris, Techno Force, Baby Cell, Bank of America, Franklin Templeton Investments, Mind Tree, EZE Software, CSC, L&T Metro Rail, HSBC, Huawei, United Health Group, Godrej, Pernod Ricard India, Hetero, Think Tankers, Kent Mineral RO Solutions and several more. This College is accredited by NAAC (National Assessment and Accreditation Council) A validity is 11 Sep 2022 and the score is 3.11 . Boys Hostel :The Institute provides the residential facility for boys with all the necessary provisions. ∗ Boys’ hosteli. Number of hostels: 01ii. Number of inmates: 600iii. Facilities (mention available facilities): Wi-Fi, Recreation facilities, RO plant, security, sports facilities including the gymnasium. 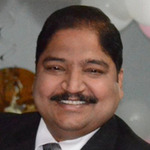 Medical/Hospital :Health Centre – Yes, four-bed Health centreFirst aid facility: YesInpatient facility: No, sickbay is availableOutpatient facility: YesEmergency care facility: YesAmbulance facility: No, But facility to emergency transport is available. Library :The Institute has an excellent library and information center, equipped with modern infrastructure, independent building with an area of 18,500 sq. ft. spread over two floors.Ground floor accomm reprography/photocopy. The first floor accommodates reference books, current periodicals, e-learning resource centre, digital library and discussion rooms etc. It has a collection of more than one lakh volume than 5000+ online e-Journals through AICTE than 100+ print journals and magazines. All of its house is automated by using kind Library to receive AICTE Project on “Modernization and Networking of Library &amp; Information Centre” under MODROBS. Sports :The institute is steadily ramping up its recreational facilities on campus. Indoor and Outdoor Sports facilities include Football, Basket Table Tennis, Shuttle Badminton, Cricket pitches, Athletics Track, gymnasium etc. I.T Infrastructure :The Institute provides the high-end computing facilities with high bandwidth internet and Wi-Fi facility are provided to the students. Cafeteria :Other Details Cafeteria - 730 sq.mts of the cafeteria is available for staff and students with the wide variety of food and confectionaries. Alumni Associations :The institute has a registered Alumni Association. Wifi :Wi-Fi facility is provided to the students. Convenience Store :Other Facilities - post office, bookshops. Parking Facility :The college has the Parking Facility facilities for all students.